Learn How to Make $500 to $2000 Per EZ Sale--Selling Simple Press Releases to Local Businesses. (Especially Newbie Friendly!) New Software Does All The Work! Scroll Down and Read the Exact Steps! In 2010, I kissed my last job good bye and launched a very successful business as an offline consultant. A year later, I started teaching others how to do the same. I’ve helped thousands of people learn to make real money online, even if they have virtually no sales or technical skills. Today, I’d like to show you how you can make $500 to $2000 or more per sale selling simple press releases to local businesses. Oh...and don't forget my new software. 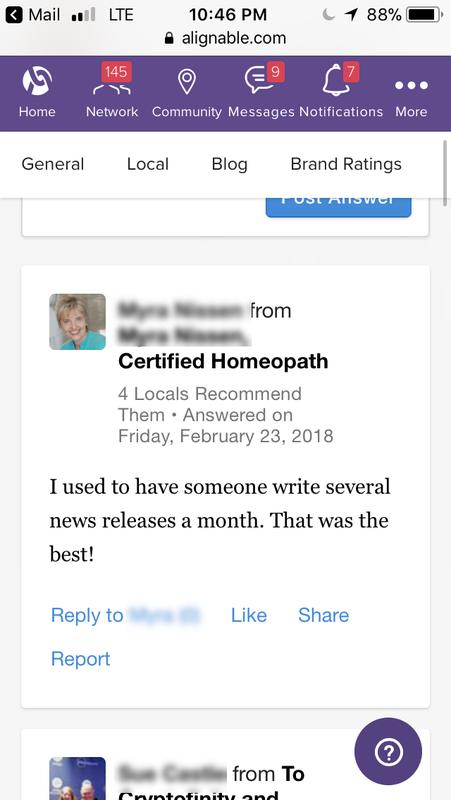 It writes the press release for you! I've sold press releases to local businesses ever since I started my busness in 2010. And, a substantial number of my clients end up on a monthly, $1000 per month, press release service! Best of all, every single clients I've sold press releases to have benefited enormously. More sales, prestigious awards...even had one land a meeting with a very successful venture capitalist. In the world of offline and local business training, you don’t hear much about press release marketing. Not sure why, because press releases flat out work. I want to make the case that press releases are a wildly effective marketing tool for entrepreneurs and small businesses. Even if you don’t buy anything from me today, I want you to understand that you should be offering your clients a press release service, and I want to give you a simple, step-by-step system you can use to start profiting from selling press releases. All. For. FREE! "You’re so much closer to a real offline income than you think! Quit trying to force business owners to buy what the latest “guru” told you to sell and start making real money by selling what businesses already understand and already want!" Someone Asked Her How She Built Her Business So Fast...Her Answer...Press Releases! Alignable is a global small business network that I belong to. It’s sort of like LinkedIn, but just for small business owners and entrepreneurs. Here’s a screen shot of a comment made by one of my contacts. Someone had asked her how she grew her business so fast. These results are not unusual! In 2010, one of my first clients was a local real estate firm. 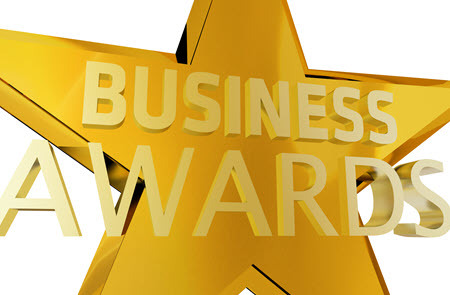 Within a couple of months of our press releases going out, they won a very prestigious business award from the local Chamber of Commerce. Needless to say, they continued with my press release service! "No skills necessary! No technical skills. No sales skills. Press releases are easily the best product to sell to local businesses because every business in the world needs a steady stream of them, and they actually already understand they need this! No convincing! No tricky selling! Just follow our easy system and watch your bank account get flooded with check after check after check." Here’s the “dirty little secret”! Selling a press release, or even a monthly press release service, to an entrepreneur or local business is one of the simplest sales you’ll ever make! One press release sells anywhere from $500 to $2000, including writing and publishing. This is the perfect price point for a first-time purchase for business owners. Press releases provide enormous value to the business. This makes it much easier for you to sell related products and services, and makes the idea of signing up for a monthly press release service very, very attractive. The sales process for pitching press releases to business owners is very simple. There’s nothing “salesy” about it! Beyond knowing how to get a press release written by a competent writer and where to publish the press release, there’s no skill involved. Contrast this to more complex, “cutting-edge” marketing services that all the gurus are touting like SEO, video marketing, and the like. In other words, selling a press release to a local business owner is likely to be one of the easiest ways you'll ever come across for making money with offline marketing. At least, it’s always been like that for me! Want to know how to get rolling with this? Want me to just tell you want to do, without charging you one red cent? Keep reading! I’m about to reveal my entire system. Start Selling Press Releases to Local Businesses Right Freakin’ Now! Show them a press release you’ve published. (If you’re just starting, you can just show them someone else’s in an ethical manner…not taking credit for it. )...This is what I call my easy "show and sell" method of selling. Huge close ratio on this! Ask them what’s happened recently that’s new in their business. You’re going to be amazed at how many businesses say yes to this! Now, all you need to know is how to get a press release written and published! Unless you get my new software, Press Release Genie, today, I’d suggest looking somewhere like Fiverr, Upwork, or Reddit for a writer. This will cost you $200 or so. Don’t go cheaper, or the quality will be crap! As far as publishing, there are tons of platforms online. You’ll need to do some research on this to find the right fit. I normally charge anywhere from $500 to $2000 for a press release. This varies by a lot of factors. What level of distribution my client wants, whether they want multimedia included, and a few other factors. So, now you know everything you need to know to start selling press releases to local businesses. I’d suggest you do one of two things. One: quit reading this sales letter right now and go out and sell a ton of high-dollar press releases to local businesses and start making some damn money! In my new training and software product, Press Release Empire, I reveal everything. 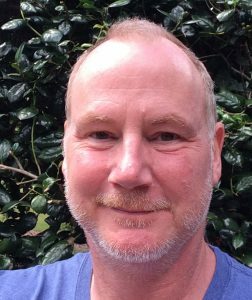 My proven method of turning a simple sale for one press release into a $2000 sale! In addition, you get my new software, Press Release Genie. Press Release Genie actually writes a professional grade press release for you using my own proven formula. So, with all that said, here’s exactly what you get when you buy Press Release Empire today! "Our new software, Press Release Genie, virtually writes the press release for you! Better yet, it’s completely non-techy. Simple to install, and simpler to use! Just follow the intuitive prompts and you’ll be churning out killer press releases like a short order cook flips pancakes!" Press Release Empire Has Everything You Need To Hit The Ground Running And Build That Dream Business FAST! Proposal Genie is a WordPress plugin that you’ll use to create professional grade, publishing ready press releasese. No need to be an expert copywriter. The software does all the work for you! It even comes with a Topic Tickler, which will help you and your client zero in on the best, viral worthy press release topics! Comes with complete, newbie friendly instructions. Takes less than 2 minutes to install. My Press Release Empire training consists of 21, step-by-step instructional videos. I take you every step of the way from being a complete newbie to having a deep understanding of how to use press releases in local business marketing. You’ll know everything from the best topics to write about to the best sites to publish your press release on. I even show you how I routinely turn a $500 sale into a $1000 or even $2000 sale by upselling extras that most business owners are more than happy to pay for! My New WordPress Plugin, Press Release Genie Is Worth Far More Than The Cost Of This Whole Thing! 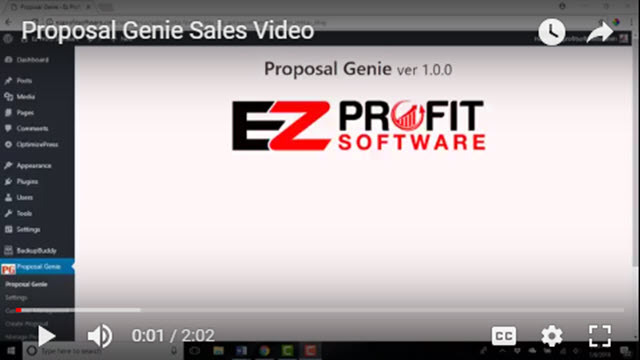 Watch This Video To See Press Release Genie In Action! So Here's the Only Question Left...Do You, or Do You Not, Want to Create a Massive, Life Changing Business This Year? If you’re answer is yes, then you want to get hold of Press Release Empire along with new software, Press Release Genie, today! I’m So Sure That You're Going to Love This Training and Software, I'm Going To Make You An Amazing Offer! Get Press Release Empire Today, and You'll Get a FREE Invite To My New Webinar Training...Automatic Clients 2018! This is a $197 Value...Yours FREE Today! "Unlike most other offline training product, Press Release Empire focuses on easy ways for you to actually get clients. Inside, you’ll find not one, not two, but four proven systems for easy, big-ticket sales. Even if you’ve never made one dollar on or offline, you’ll soon be landing clients, getting paid hundreds of dollars, and building the business of your dreams…just by following a few simple steps!" If You Buy Today, You Get All This, Too! Another $195 Worth of Money Making, Cutting-Edge Marketing Products...FREE! 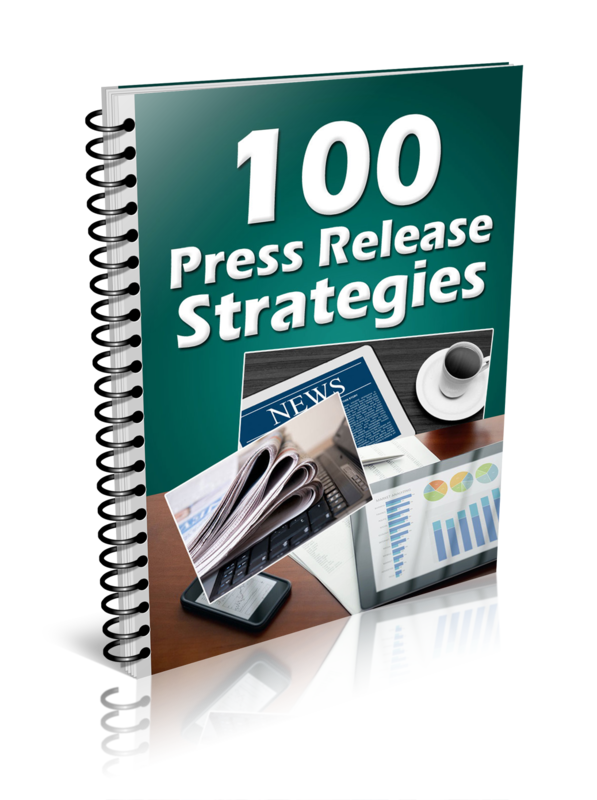 Become an instant expert in press release marketing when you get 100 Press Release Strategies! You'll learn exactly how the pros use press releases to market small, medium, and even large sized businesses. Yours FREE when you buy Press Release Empire today! 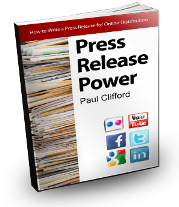 Get Press Release Power and learn how to leverage press releases in your on or offline business. You're going to learn a totally fresh approach to press releases. FREE to you, if you purchase Press Release Empire today! Run out of ideas on how to promote your offline business? Get this succinct report totally free when you purchase Press Release Empire and easily find the right client finding strategy for you and your product! Want to make money as soon as tonight? For real! Overnight Offline Cash is a groundbreaking report that will show you how to start making real money with offline marketing right now! Today! Want to learn all about Internet marketing, and how to build a real lifestyle business? 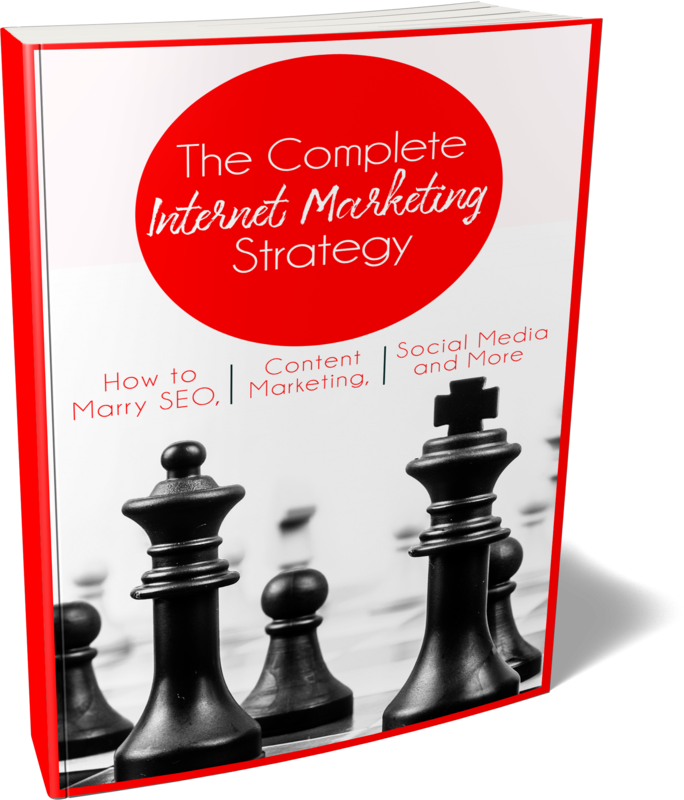 With The Complete Internet Marketing Strategy, you'll learn exactly how to build the business of your dreams AND have the lifestyle of your dreams. Get this today FREE when you purchase Press Release Empire! That's a Whopping $392 Worth of Income Producing, Marketing Training...Yours FREE, If You Buy Local Business Client Machine TODAY! But Let's Make This A Whole Lot Better! 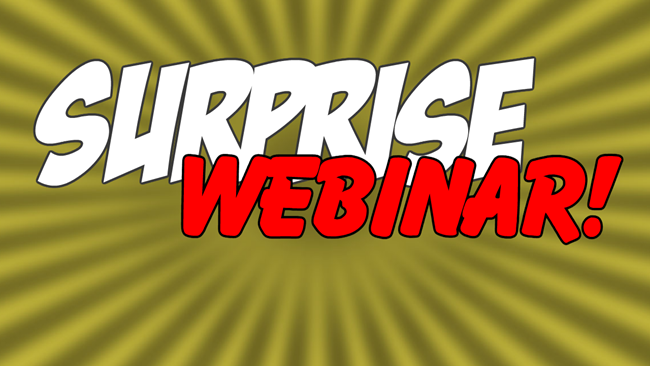 Buy today and you'll get access to the replay of one of the most astounding, controversial, and flat out money making webinars I've ever done! Yet another $197 value! That's $589 in total, money-spewing bonuses...all for absolute FREE! Here's What You Need to Do Next! My software alone should be $47 per month. (That's $1250 per year!). But don't worry! It's a one-time fee, and not nearly that much for the whole package! And, you're getting $589 worth of very valuable bonuses! So, I should be charging an arm and a leg for this...but I'm not! Don't let this offer slip away! Get in on this BEFORE the counter turns to zero! As a matter of fact, let me do you one better. How about I let you try this whole thing, the training AND the software for FREE for up to 7 days! "Selling press releases work in any country! Every business on the planet needs a steady diet of press releases. 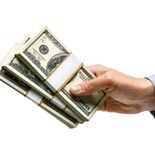 You can build an entire recurring income just on selling businesses press releases!" And, You Have A 100% No-Hassle, No Questions, Money Back Guarantee! I’m so completely confident that you’re going to love my new training and software that I’m willing to give you essentially a free look at everything. You Get My New Training, Software, And $589 Of Money Making Bonuses, Including My Automatic Clients 2018 Webinar Training and My Life Changing, "Secret" Webinar Replay! And...My "Secret" Webinar Repay...Value Easily Another $197! Still Can't Decide? Check Out The FAQ Below! What is a press release and what can it really do for a local business? 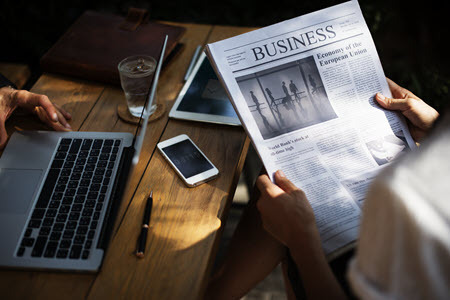 A press release, sometimes called a news release, is an announcement that’s sent to news agencies, authority blogs, and other websites and platforms that announces important news about businesses and entrepreneurs. What kind of software is Press Release Genie? No. You’ll host this on your own site. There are significant benefits with this. One is you’re not dependent on another site that may go down. Are there any other ways to sell press releases besides what you've talked about? Sure! But, honestly, the four strategies I share with you are proven in my own business and will give you plenty of clients to build your business with. Why do I need Press Release Genie? I can write myself, or hire a writer on Fiverr. Writing a press release is kind of an art. If you know how, go for it. You still need the training to learn how to make money. As far as hiring writers, why not pocket the money instead of spending it? More profit for you! Is your training and software just for the US? Press releases are a very effective marketing tool in any country. Also, you can use the software in any language. This Is Only Available at This Price for a Limited Time! Buy Today to Get the Best Price and Secure All Your Bonuses! PS: Press Release Empire is my new training and software. You'll learn how to make $500 to $2000 per sale of a press release to local businesses. You'll also learn how to convert a large percentage of your clients to a monthly press release service. And, maybe best of all, you're going to get my new software, Press Release Genie. It does all the work, so you don't have to! PPS: Are there any OTOs? Yes, but you don't have to have either to make this whole thing work big time. Press Release Empire, along with the software, Press Release Genie, is a complete package! Everything you need to start selling big ticket press releases to local businesses. 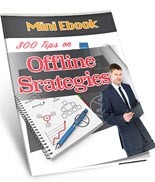 However...if you want a full blown marketing package, PLR book you can publish on Kindle and Create Space, editable covers for the book, email sequence, pre-curated articles for social media, professionally written blog posts, next-gen squeeze pages and more...you'll want to pick up OTO1. Priced where anyone can afford it too! And, if you want to take this whole thing and take it all to the next level, check out OTO2. That's my affordable coaching. Affordable enough so that anyone can afford it. Complete and cutting-edge enough so that if you implement what I tell you, the results will be literally life changing! Again, you don't have to have either, but at the price I'm selling this for, and the quality you get, you'd be crazy to pass this up! PPPS: No need for any writing skills! Or, for much skill at all! Press releases sell themselves, and my new software, Press Release Genie handles all the writing for you. Press Release Genie is a WordPress plugin that will make you write like an absolute pro, even if you're not one. Not only is this software a huge time saver, but it's also a huge money saver. You'll pocket an extra $200 profit per sale you make! PPPPS: Of course, it's all guaranteed with our standard, 7-day, no questions asked guarantee. If you should need a refund, please use support. 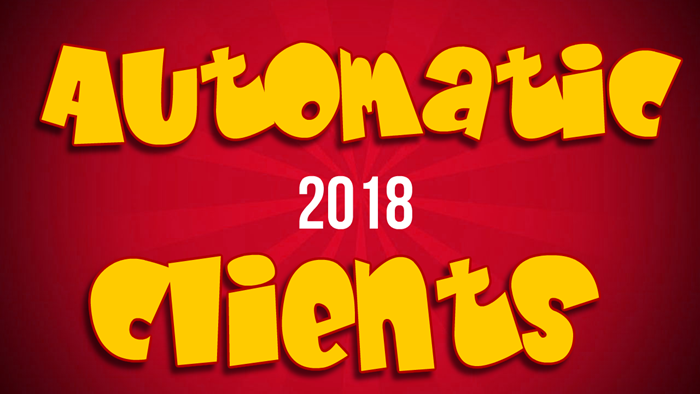 PPPPPS: Oh...almost forgot one of the most important things...my new webinar, Automatic Clients 2018. Getting new clients is what torpedoes virtually everyone in Offline marketing. In Automatic Clients 2018, I'm going to show you how to put your client getting on autopilot! You'll never lack for business again! PPPPPPS: And...don't forget about all the other money making bonuses we've added in! Close to $2000 worth! Each of these is worth at least the price you're pay for this whole thing! And, you're getting this all free, two webinars and five more training products, just for purchasing Press Release Empire today!